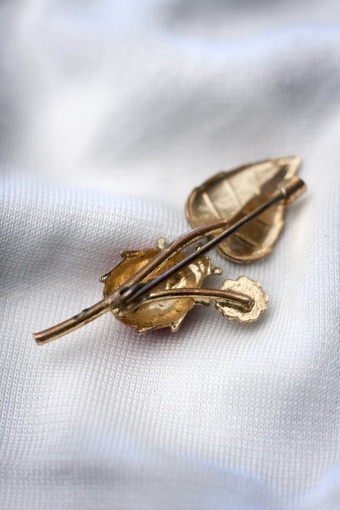 Petra Reijrink hand-crafted vintage ánd vintage inspired jewellery! 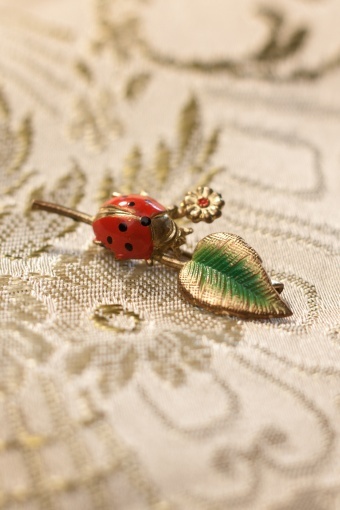 This is a real antique 1940s small brooch from England. 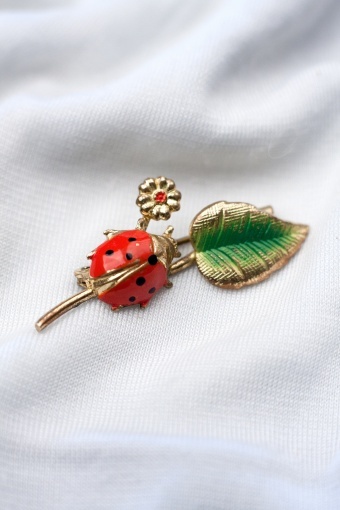 Very cute with a ladybug on a branch, made of enamelled gold tone metal. Very unique! This is a antique item with some light wear.